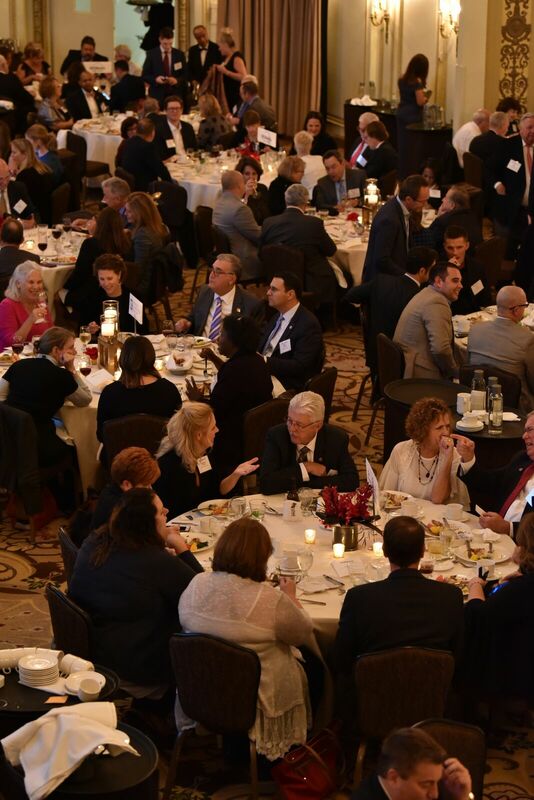 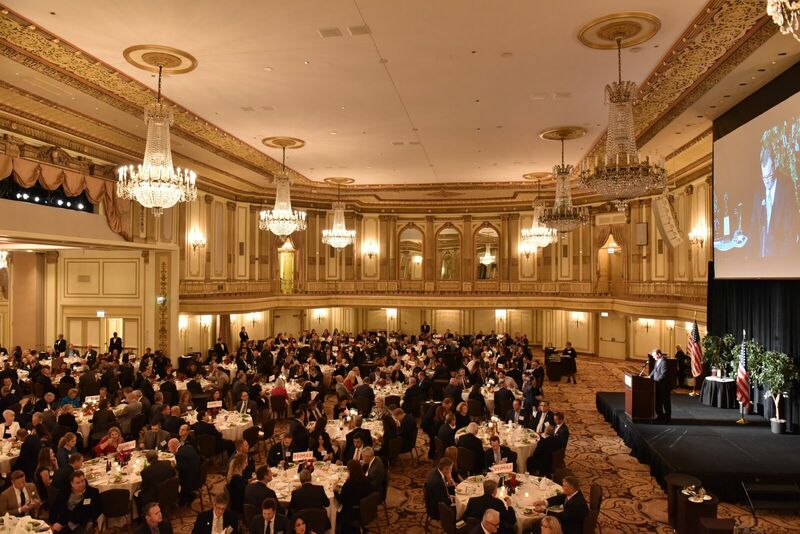 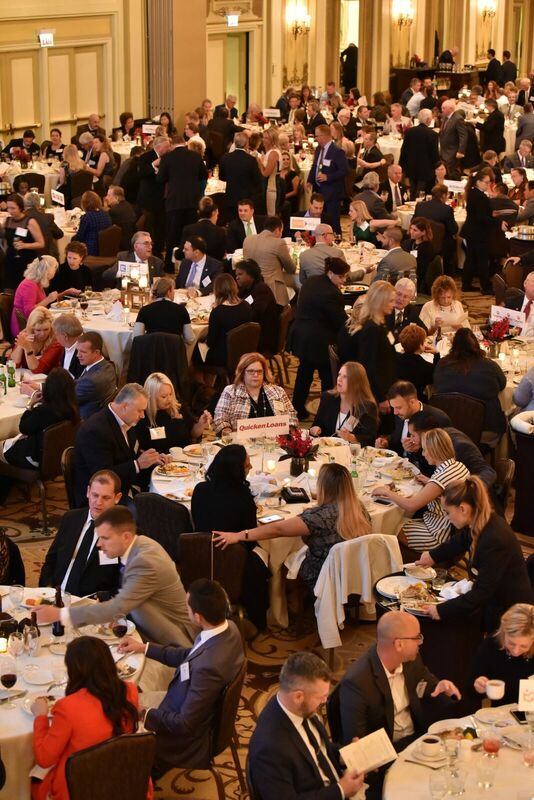 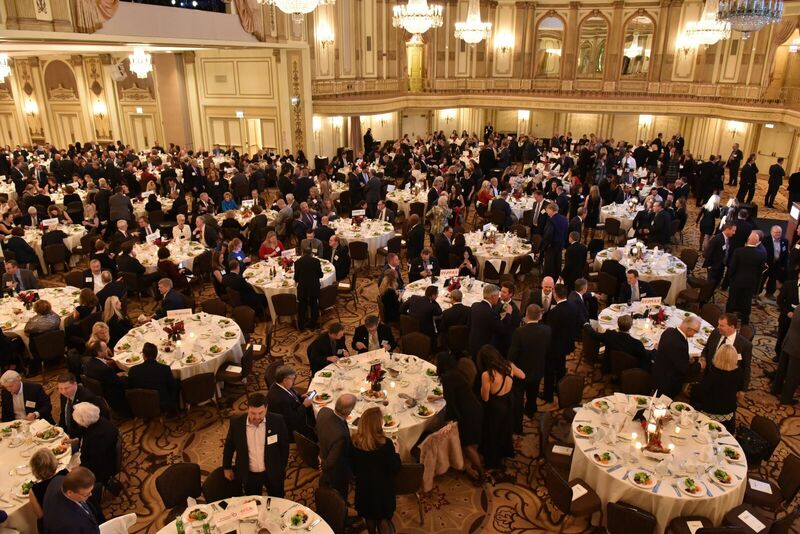 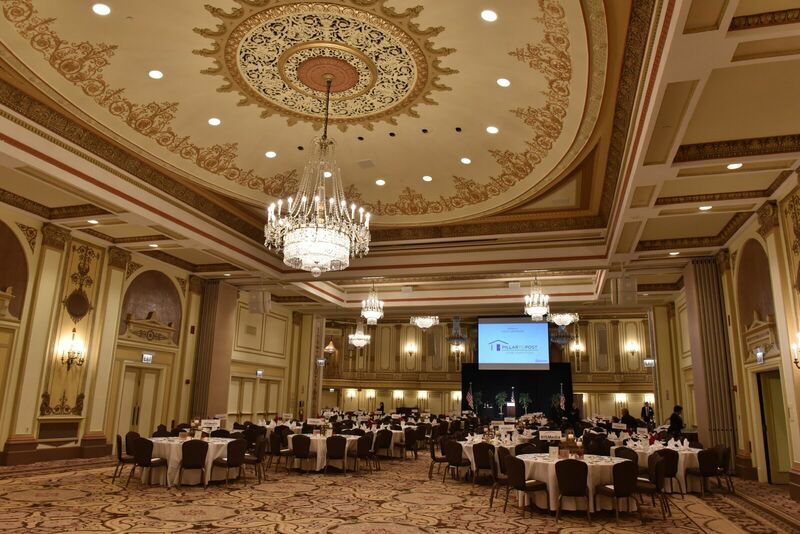 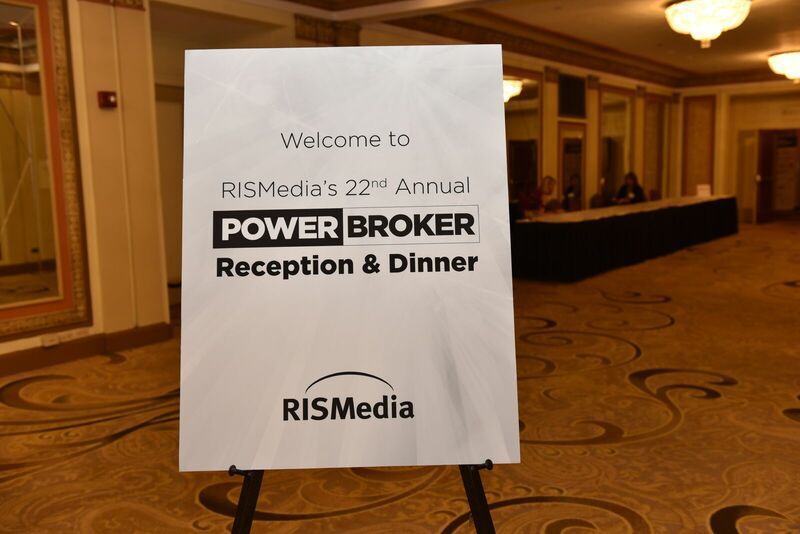 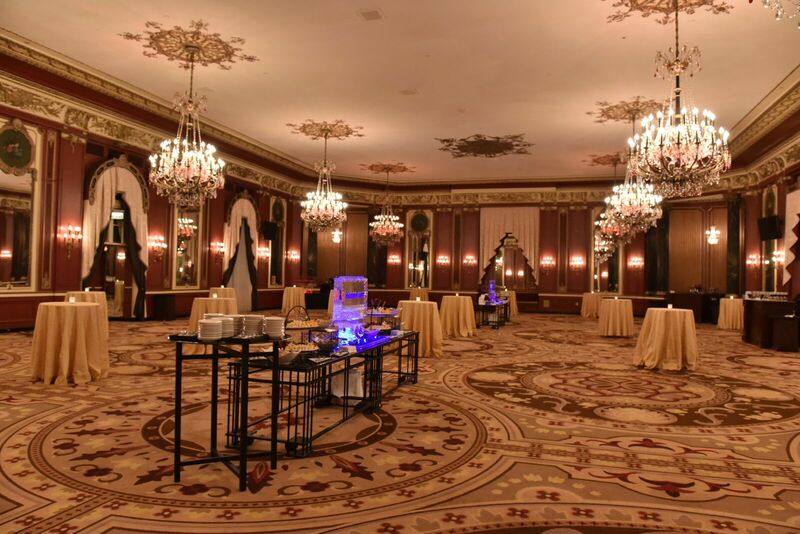 Power Brokers and other industry leaders gathered at The Palmer House Hilton in Chicago recently for RISMedia's 22nd Annual Power Broker Reception & Dinner, an invitation-only event held during the REALTORS® Conference & Expo. 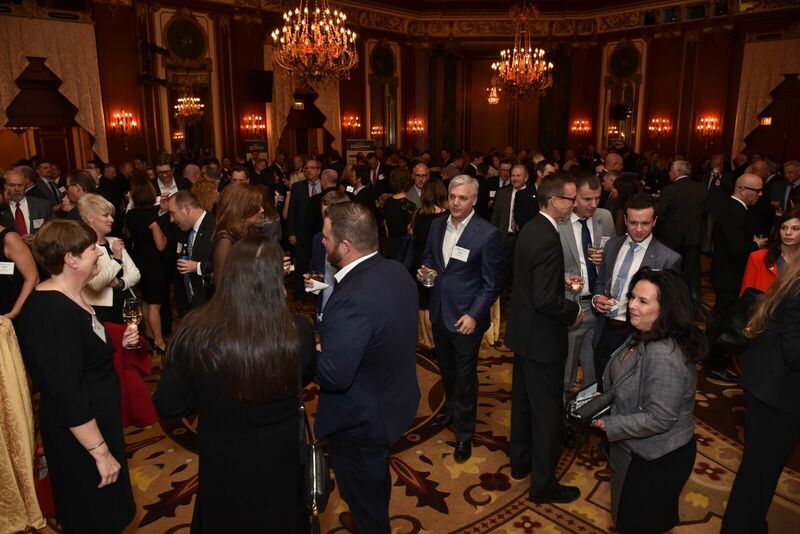 The event honored the brokers who ranked in RISMedia’s 2017 Power Broker Report, as well as recognized four leaders in real estate. 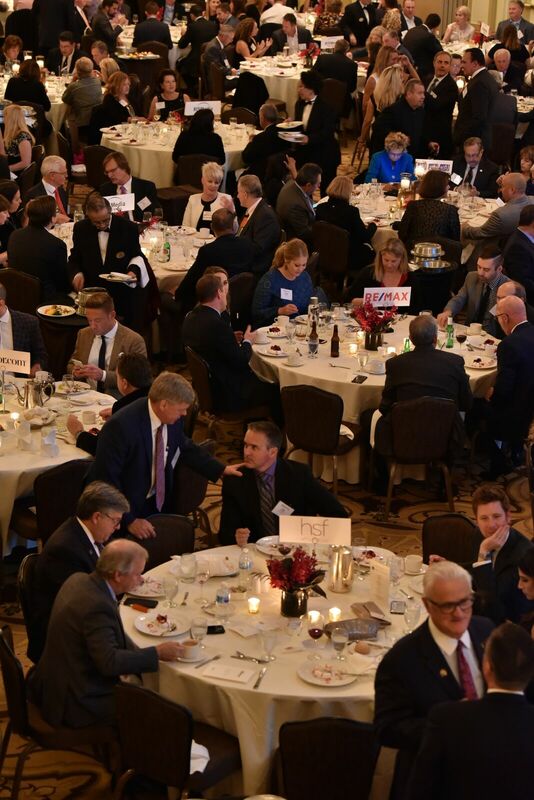 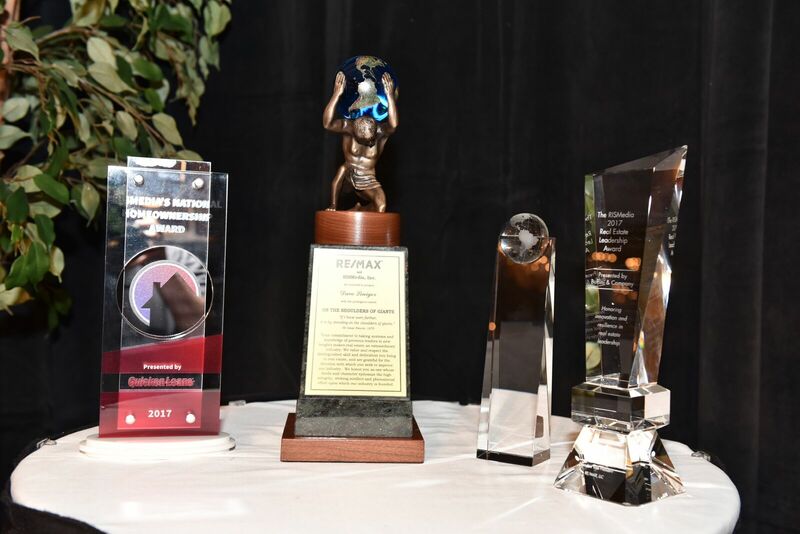 This year's event was sponsored by Platinum Sponsors Buffini & Company, Homes.com, Quicken Loans and RE/MAX. 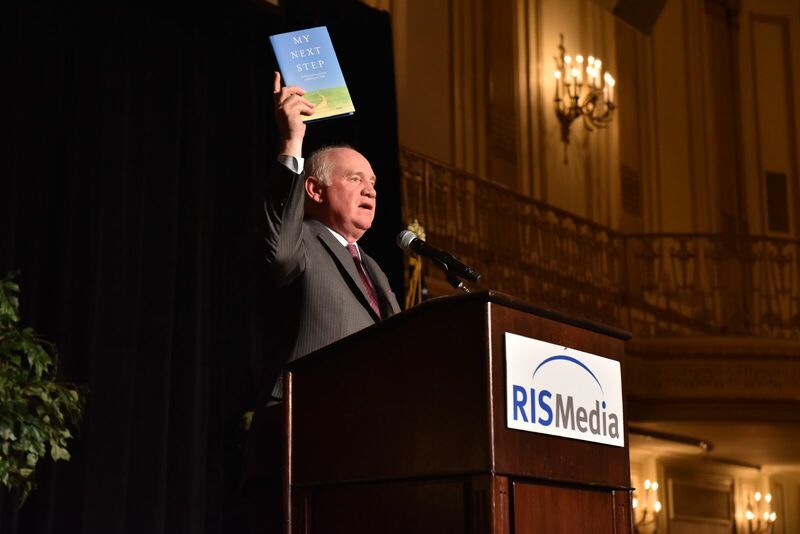 Like RISMedia on Facebook for more photos from this year's event, and stay tuned to Housecall and RISMedia.com for more from the REALTORS® Conference & Expo, including the RISMedia Power Broker Forum. 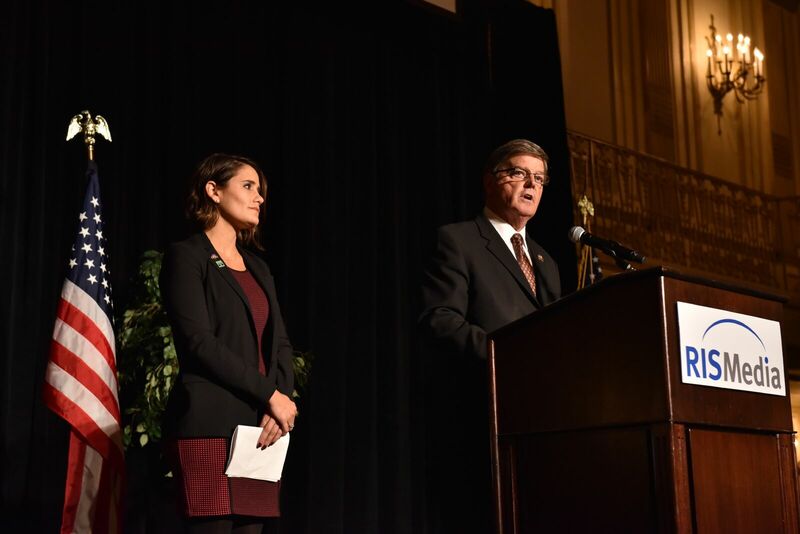 Guests are welcomed by Robert Bailey (right), 2017 Liaison for Large Residential Firms Relations for the National Association of REALTORS® (NAR), and Christina Pappas (left), 2018 Liaison for Large Residential Firms Relations for NAR. 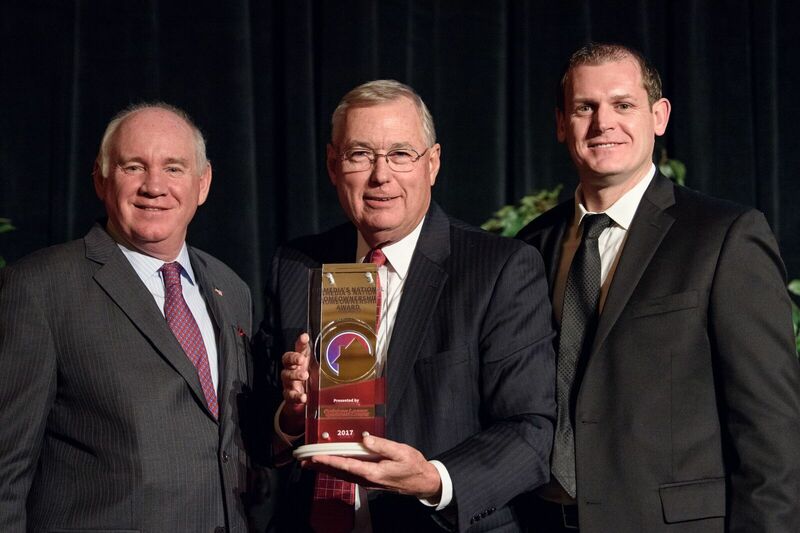 Patrick Bergner (center), CMO of Berkshire Hathaway HomeServices KoenigRubloff Realty Group, accepts the RISMedia Tech Titan Award on behalf of Nancy Nagy, broker/owner of Berkshire Hathaway HomeServices KoenigRubloff Realty Group, with John Featherston (left), president and CEO of RISMedia, and David Mele (right), president of Homes.com, sponsor of the award. 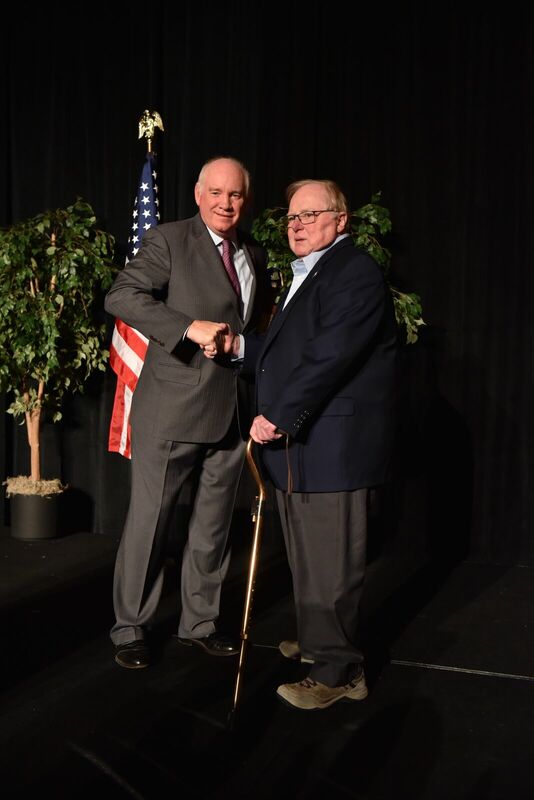 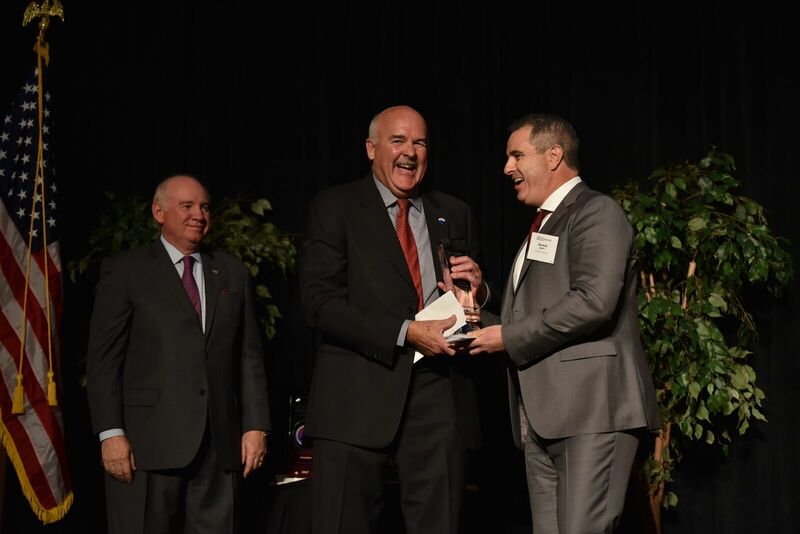 Dave Liniger (right), CEO of RE/MAX, accepts the RISMedia 'On the Shoulders of Giants' Award, with Featherston (left). 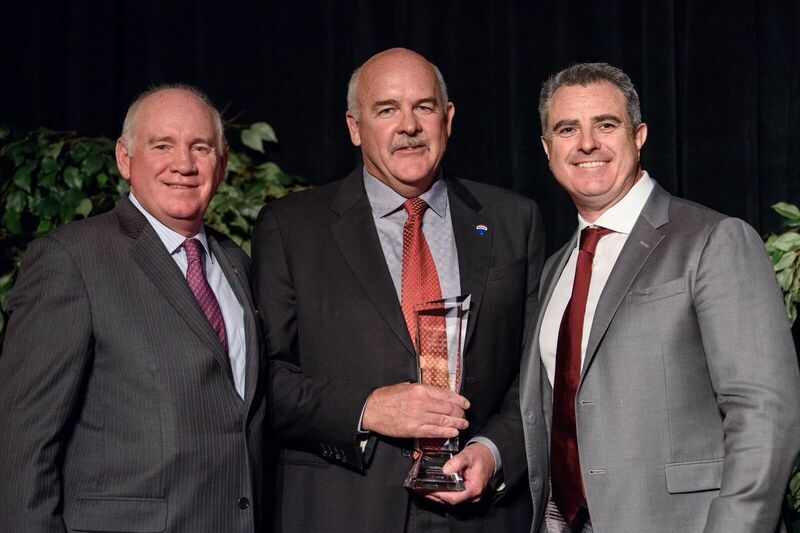 Mike Ryan (center), EVP of RE/MAX, accepts the RISMedia Real Estate Leadership Award, with Featherston (left) and Dermot Buffini (right), CEO of Buffini & Company, sponsor of the award. 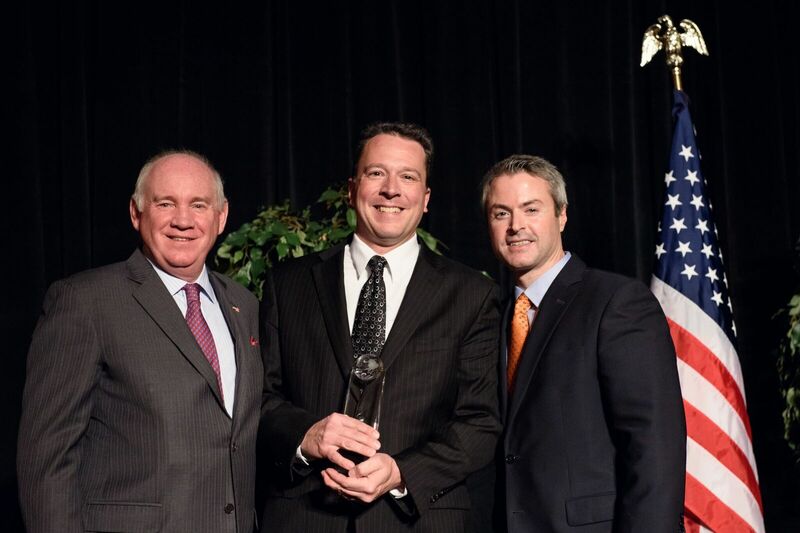 David Caveness (center), president and CEO of Carpenter Realtors, accepts the RISMedia National Homeownership Award, with Featherston (left) and Tom Dempsey (right), divisional VP of National Sales for Quicken Loans, sponsor of the award. 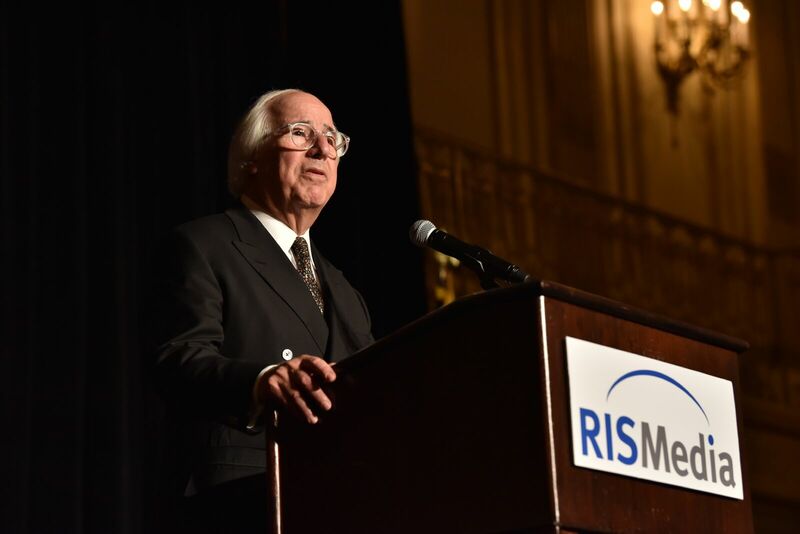 'Catch Me If You Can' author and film subject Frank Abagnale delivers a keynote on cybersecurity. 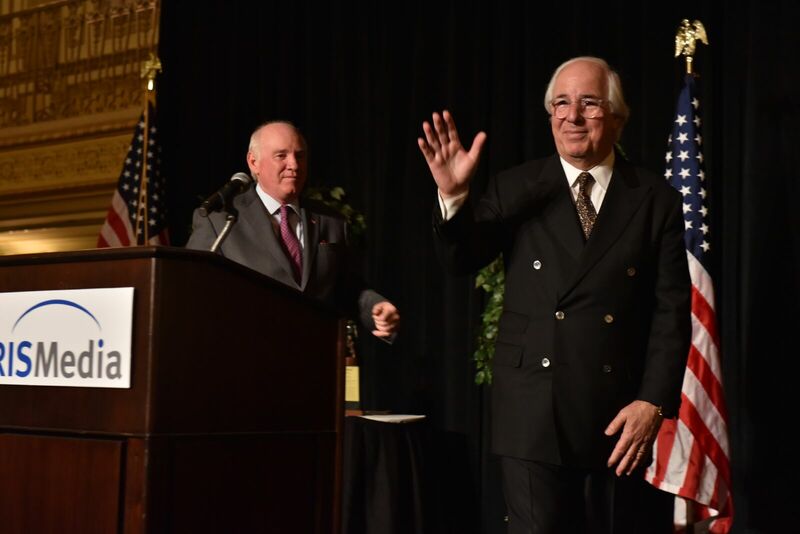 Get Abagnale's insight and tips.